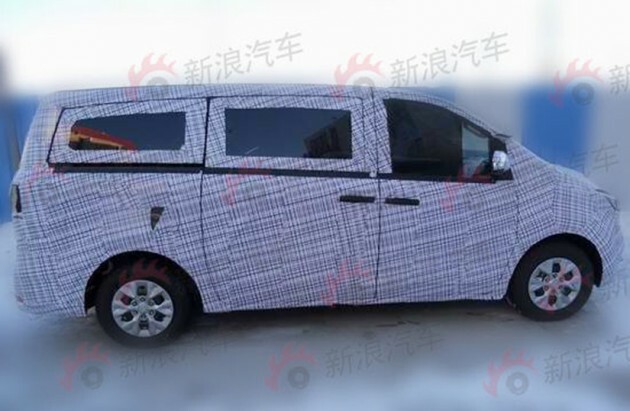 Here are some spyshots, courtesy of China Car Times, of a new seven-seat MPV from Maxus that’s expected to receive its market launch in China sometime in the fourth quarter. You’d be forgiven if you’ve never heard of Maxus – it’s the company that used to be British van maker LDV. Owned by SAIC since 2009, it unveiled its first product, the Maxus V80 van, at Auto Shanghai in April 2011. Around the same time, Malaysia-based Weststar Group was appointed the official distributor of the V80 for the Asia Pacific region. Weststar Maxus (formerly Weststar LDV) assembles the van at its Port Klang facility, with the CKD kits coming from China. So back to the new van at hand – according to China Auto Web, the second Maxus product sits on a platform different to that of the V80. The prototype spied here employs a front-engined, RWD configuration, with multi-link rear suspension instead of leaf springs. Features include sliding doors and a two-two-three seating layout, while a turbocharged 2.0 litre petrol engine is believed to be the main engine choice, China Auto Web adds. However, China Car Times says diesel powerplants are likely – guess we’ll have to wait and see. Of course, it’s too early to say yet, but what are your thoughts if Weststar were to introduce this in Malaysia in the near future? China version of alphard?? Bring it on! Hope it looks good with that projector headlamps! !